Contains several of BAO’s hits along with some newly written songs. The album will be released in mid-June, just before the summer tour. Release date for the single – OM DU VAR JAG – Friday, April 5! The same quality as always. What a voice, what a woman…. Thank you for being there. I feel blessed to know you. 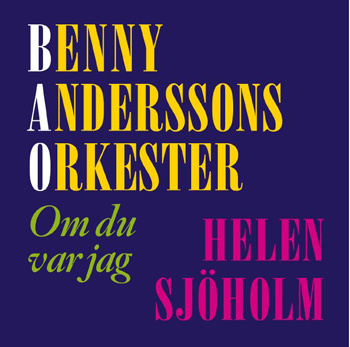 I also would like to congratulate Benny Andersson and the musicians of BAO. You are such a talented and gifted people. Thank you for the music. I couldn’t imagine my world to be without it. I am very grateful for that. All the best to all of you and for you Helen, lots of succes with the new single.